During my visit to Iceland I started to experiment with video for the first time. I came to the conclusion that this is a great way to show people the dynamics of some scenes like waterfalls. The video below was captured at the same spot as this image and shows Hafragilsfoss. 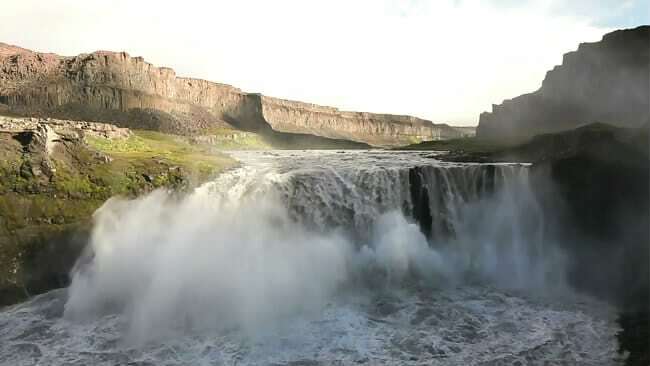 This waterfall with a height of 27 meters is formed by the river Jökulsá á Fjöllum and located a few Kilometers downstream from Dettifoss. My effort is focused on photography; videos are merely a side-product of my work but you may find them interesting nevertheless, especially in combination with the photos. By the way: I am still working on the photos from Iceland, they will be published as soon as I am finished.